Insight provides useful shortcut keys to immediately access certain useful functions within a tab. 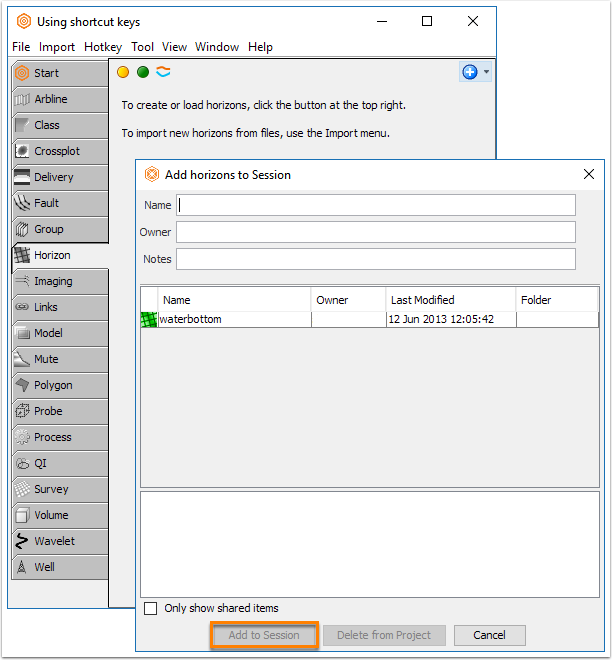 Choose the appropriate tab for the item type before using the hotkey. Press CTRL+F to search for items with matching names in a tab. Enter the text to search. If Insight find any matches, the items are highlighted (orange) in the panel. Check "Include folder names in search" to also match folder names. Click the "Prev" or "Next" button to step through the results (dark blue). Click "Select Results" to select all matching results. 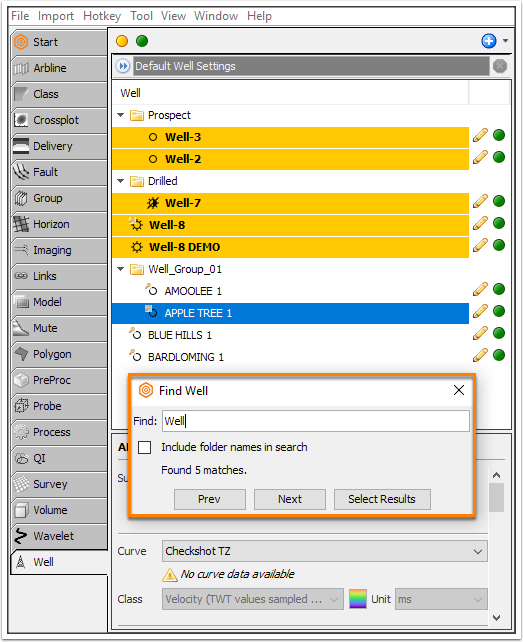 Note: In the Process tab, the Find function searches for matching process names and process types. Press CTRL+L to display the load item window. Choose the item to load and click Add to Session. 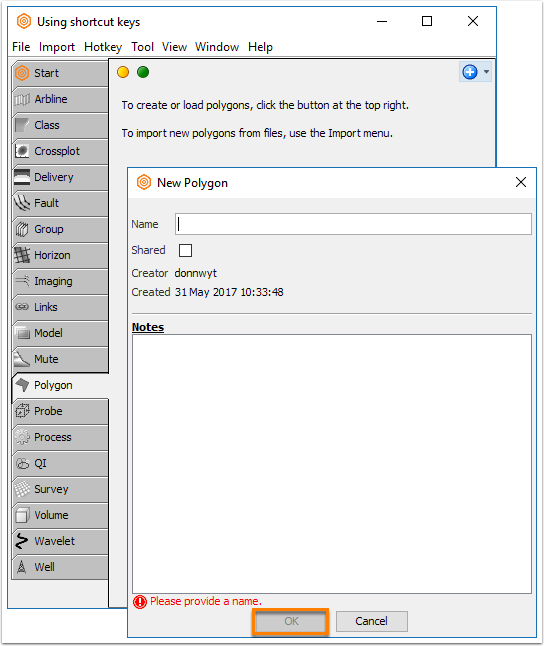 Press CTRL+N to show the create item window. Enter a name and click OK to create an item. Note: CTRL+N will not work in the Delivery, Imaging, Links, Mute, Volume and Wavelet tabs because of differences in the way they function. In the Volume or Process tab, select the item. Press CTRL+P to switch between the process and the virtual volume created.